It took more than a day for Romulus and Remus to build Rome, thusly it’ll take more than a day to rebuild this all new Taipans roster from the ground up. The potential of the Kelly Gang was on display once more over the weekend, but when the big moments came to seize victory, it slipped away like a greased-up hog in a tumble dryer. At home we eventually succumbed to a basketball tsunami from (former Taipan) Nathan Sobey, who logged the league’s first triple double in 5 years, and in Sydney they pushed the Violet Crumbles to a not so crumbly OT, where Kevin Lisch remembered that he was Kevin Lisch and played accordingly. No lollies in the trick or treat bags, despite the effort, and we’re probably going to have a few more heartbreaks over the next few weeks. You can’t just manufacture a successful team from the air - just look at the lack of new banners in Sydney’s rafters, despite spending a King’s ransom on rosters. This weekend we see the NBL’s apex predator, the defending champions, Melbourne United coming to town to tango. If not for a dubious charge call in Perth (since reviewed and judged incorrect by the NBL), they’d be sitting on top of the league ladder. They are a relentless whirlwind of talent. Our men in orange will have their hands full dealing with the league’s best point guard, Casper Ware, who has been in salaciously scintillating form. The ageless David Barlow has turned back time and found a way to discover his old self, and on the boards, Josh Boone has been as relentless as a Telstra telemarketer close to his sales target. The big 'if' coming into the game is if the franchise’s favorite son Chris Goulding is ready to go, or if his knee injury will keep him out for another week. Less Goulding is always a good thing for oppositions, and a godsend for the poor Taipans that would have to spend 40 minutes chasing him around screens. 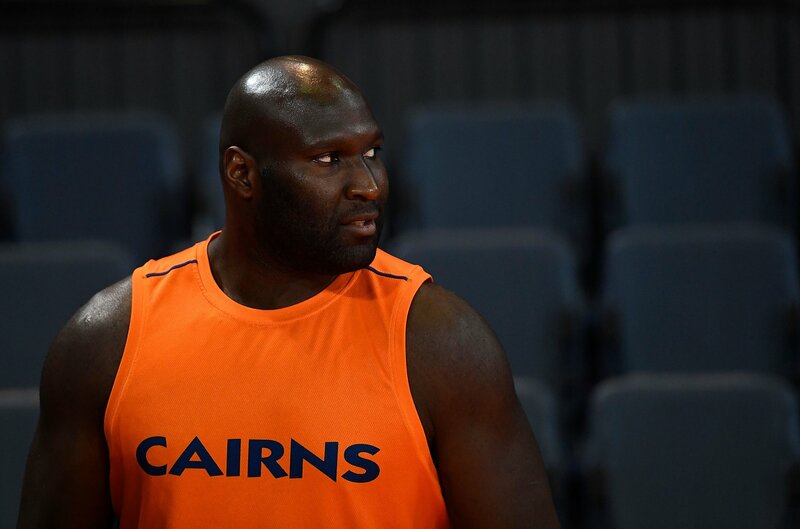 A win against the league’s best would give the Taipans a fitting reward for the efforts they’ve put into the season so far and prove that they are on the right course. Devon Hall will need to step up for the Orange; his first 4 games haven’t really inspired, and as an import he has a disproportionate amount of pressure on his shoulders. In his first professional season against grown, money-making men, he should be given a bit of slack. Once the sharpshooter’s highly reputed shot clicks back into gear, hopefully soon, we’ll be in for a show, and it’s too soon to be buying anyone tickets home just yet. The coaching staff have faith in this squad, and they’ve shown that if they can put 40 minutes of consistent basketball together, like they did in Brisbane, they are a force to be reckoned with and United should be ready for a serious battle.